Here's where to watch every episode of Taskmaster season 1. Mouseover or tap an episode to see where to stream it. Click or tap the play icon to stream it on the best available service. Melon Buffet Jul 28, 2015 Roisin Conaty, Tim Key, Romesh Ranganathan, Frank Skinner and Josh Widdicombe are tasked with trying to paint the best picture of a horse whilst riding a horse, plus there's melon-eating, bath-emptying and pop-up tents. 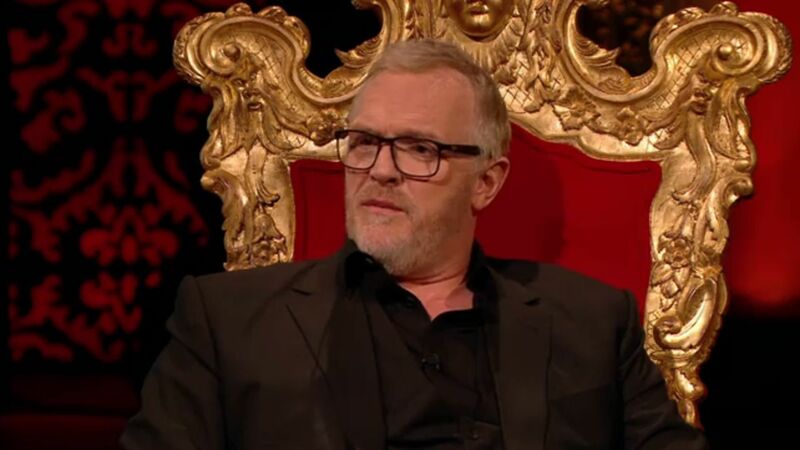 The Pie Whisperer Aug 4, 2015 Taskmaster Greg Davies commands his captive band of comedians to identify the contents of a table full of mystery pies, make a film backwards and high-five a fifty five year old. The Poet and the Egg Aug 11, 2015 The comedians build a tower for an egg and make a video ‘blooper’. The results are kind of surprising and kind of scary. Plus, Josh Widdicombe gives Greg Davies the ultimate gift – one that they will both remember FOREVER. Down an Octave Aug 18, 2015 This week, can Roisin Conaty, Tim Key, Romesh Ranganathan, Frank Skinner and Josh Widdicombe fill an eggcup with tears, remember an Aussie Rules football team or play Taskmaster squash? Little Denim Shorts Aug 25, 2015 Greg Davies and Alex Horne host as Frank Skinner takes a boulder onto a train for a pleasant excursion. Then, he and the other comedians try to make a Swedish man blush. The Last Supper Sep 1, 2015 In the last episode of the series, the five comics are not only playing for homemade chowder but also for the inaugural Taskmaster series winner’s trophy. Tasks include playing golf with eggs and cooking a meal using ingredients starting with every letter of the alphabet.